That’s how interior designers Katie Logan Leblanc and Jensen Killen describe the feeling of a perfect Sunday. 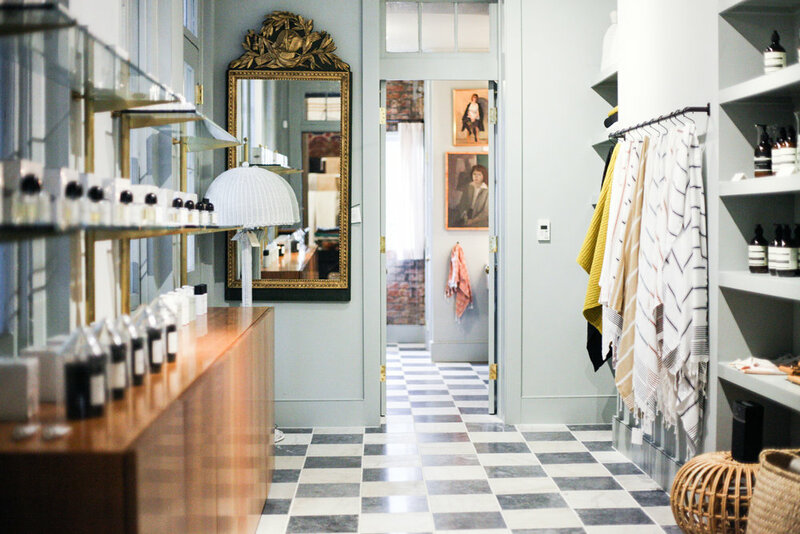 If words could paint a picture, then the interior design duo behind Logan Killen Interiors bring words to life inside Sunday Shop, a thoughtful lifestyle boutique located in New Orleans’ Garden District. A visit to the retail shop that lives below the LKI design studio offers a glimpse into the minds of these design darlings and their fresh take on easy, approachable living. From the mix of natural elements and layered textiles to the neutral backdrop that serves as a foundation for eclectic patterns and the selection of vintage pieces, they all tell a story of a well-traveled woman and her many adventures. It's no wonder we, and just about anyone who steps foot inside, are ready to pack up and call Sunday Shop home. Katie & Jensen's history together is just as endearing and organic as their distinct aesthetic. They became friends at the tender age of four, studied Interior Design at Louisiana State University, and bonded over a love of color and easy living, while working at boutiques in their small college town. After several years of working in and around the design field, the duo decided to form Logan Killen Interiors in 2012. So, how exactly did two Louisiana locals develop such a distinct style that's best described as coastal, vintage Americana? "A California client gave us free reign to use color in his New Orleans home. That opportunity helped us hone in our love of color," explains Jensen (pictured left in the striped top). "Hours of merchandising and smelling amazing candles was such a treat for us (when we worked at boutiques). We just knew that one day we wanted to have our own store. 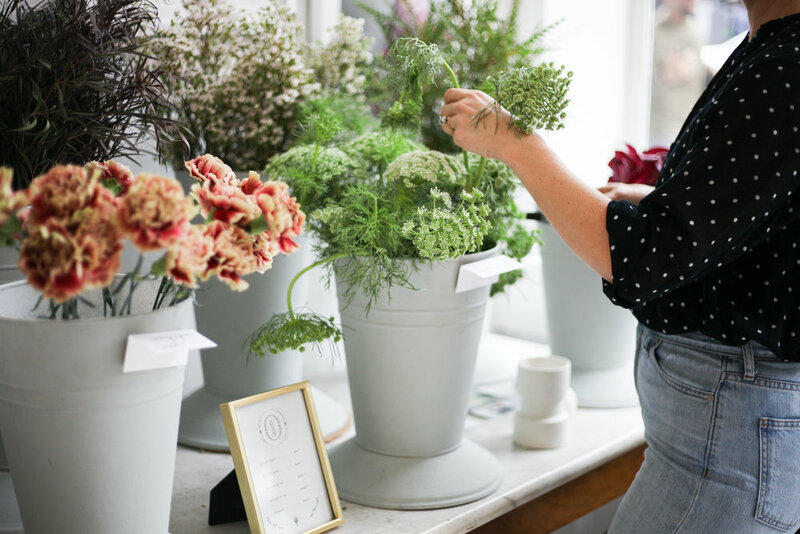 Once the interiors business got off the ground, the concept of Sunday Shop as a lifestyle, interiors focused retail shop really started to take shape. While every inch was designed by us and the products carefully selected by us, we intentionally named the store Sunday Shop so that it could have it's own identity separate of our design firm, Logan Killen Interiors. Sometimes interior design showrooms can be intimidating to the every day patron; we wanted to create a space that felt welcoming for everyone but still represented both of our brands." Like the enigmatic style of a well-traveled woman or the inescapable bohemian charm of the California girl, Sunday Shop breathes new life into interior design. It’s nonchalant and effortless but never lacking in sophistication or charm. Honoring authentic, easy everyday living is often talked about, but Sunday Shop brings the concept home.